If I parachuted into Siberia, I’m sure I could find a pastry shop. In Spain, it is much easier as there are many fine bakers of sugary delights. In Trujillo, there was one on my route and I didn’t pass up the opportunity to sample the goods. A couple of cookies and pastries were wrapped up and I was on my way. 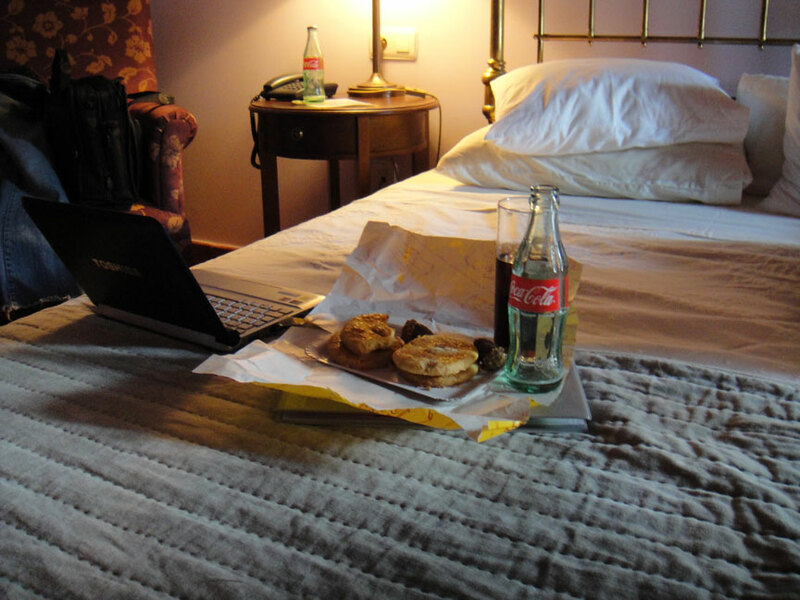 Of course, I supplemented this with an ice-cold Coca-Cola back in my room at Posada Dos Orillas. That’s a beautiful sight! The netbook was open to show that I was working a bit during this voyage of discovery. However, I never passed up the chance to sample the local flavor.